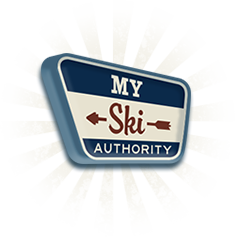 Welcome to Maine Ski Authority. The Hot Spot for ME Ski Discounts. For those who think of the area as simply New England, the skiing in Maine is often overshadowed by the slopes of Vermont and New Hampshire. However, the same mountains that make these states famous for their skiing also cut through the southern half of Maine. This makes the entire state something of an open secret: It features many of the same ski qualities without the fame. This means, more times than not, you’re going to find amazing skiing without the crowds. The best-known ski resort in Maine is Sugarloaf, located just south of Bigelow Preserve. It forms the northern tip of the dense cluster of ski resorts in southern Maine. Other prime skiing in this area can be found at Black Mountain, Mt Abram, Spruce Mountain and Saddleback. If you’re feeling extra adventurous, head north to Big Rock. Located far from any major cities, Big Rock Mountain has a modest 980-foot drop. The expert trails that zip through the evergreens give this ski area the feel of a much bigger resort. It’s no surprise that it snows a good amount in Maine. But just as you need to get off the coast to find the best slopes to shred, the snowfall you can expect increases as you go into the state’s interior. Rather than 50-60 inches each year in coastal areas, many ski areas easily top 100 inches much of the time. And on those days when the sun does shine through, some of the ski resorts in the state are using solar panels to make for more sustainable snow-making production. Check Maine Winter Weather. It doesn’t matter if this is the very first time you’ve put on skis or you’re a seasoned veteran, the skiing in Maine has something to thrill you. If you like night skiing, several of the resorts feature trails that cut underneath crystal clear skies. In addition, because of the altitude, you’ll see a breathtaking starry vista. If you’re a fan of ski competitions, plan your vacation around World Cup ski racing. For more family friendly fun, check out the Annual Torchlight Parade held every February at Saddleback. Watching a trail of torchlights weave down the mountain is an amazing sight. Whether you’re on the slopes of Sugarloaf or slashing the powder at Camden, making the most of your money is important. Remember to plan well in advance when getting your lift tickets and equipment rentals. Shop online for the best deals. Letting us help you with your rentals can save you up to 20%. Put our relationships to work for you and make the most of your vacation. From Sugarloaf to Saddleback, the skiing in Maine is phenomenal with something to offer everyone regardless of skill level. And Maine Ski Authority is here to help you make the most of it. If you need some advice on your next ski vacation or, heck, if you want to give us some advice, please get in touch.